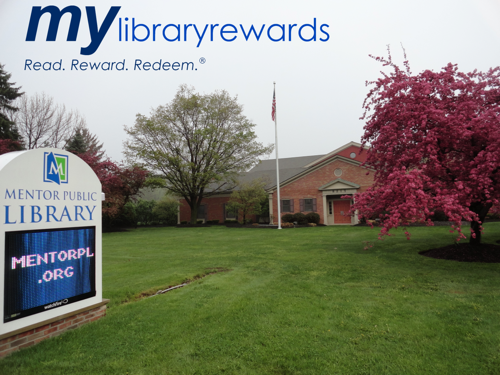 Mentor Public Library has partnered with nearly 40 local organizations and businesses to offer My Library Rewards, which gives library patrons the chance to earn discounts on food, recreation, gym memberships and more by checking out books, videos and other items from the library. Using their library card number, patrons can sign up for the free program at mylibraryrewards.com. Anytime that patron checks out an item from Mentor Public Library — whether it’s a book, video game, or movie — they will receive 10 points. Patrons can earn up to 100 points each week. Next, the patron can “spend” those points to receive discounts and even free services at local businesses. For 300 points, library patrons can get a free one-week family pass from Lake County YMCA. Also for 300 points, a patron can get $10 off a ticket to any Fine Arts Association production for the 2016-17 season (except for holiday productions). Patrons also can earn discounts on oil changes for their cars, art classes, personal trainers, frozen yogurt, tandem skydiving, gym memberships, cooking classes, pizza, pedicures, candle making, yoga, computer repairs, guitar lessons, cosmic bowling, karate classes and more. For a full list of deals, visit mylibraryrewards.com and enter Mentor’s zip code, 44060, in the search bar. Patrons can claim the deals online or by using the MyLibraryRewards app, which is free from Google Play and the Apple App Store.